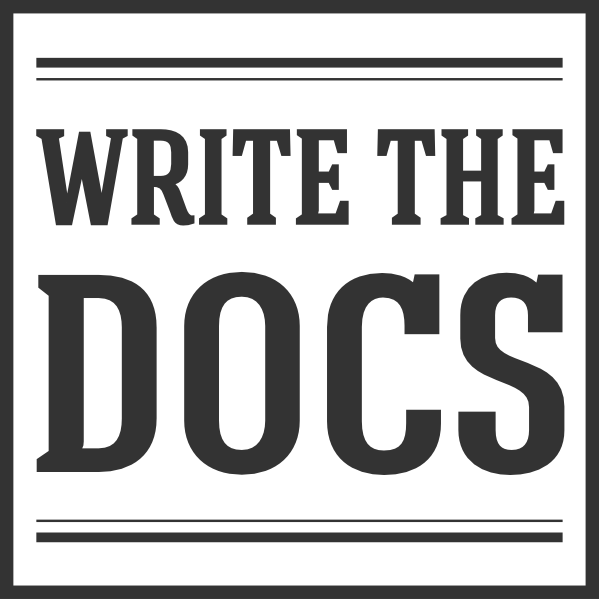 Since the very first Write the Docs conference, our community has been a place where documentarians can connect with other people – and companies – that care about docs. Over time, we’ve attracted a group of folks who are doing some of the most interesting and innovative work around software documentation. Anywhere the community interacts, whether at our in-person events or in our online spaces, it’s easy to watch the profession’s best practices evolve and improve. Along with pushing the industry forward, we know that each person in our community is also working to advance their career. People in our community want to work with forward-thinking companies. They want coworkers who get it, who share their passion for good communication, who care about helping users as much as they do. In pursuit of that goal, the community has worked organically for years now, helping people find the perfect job or the perfect candidate via our #jobs channel in Slack. These connections are important to health and success of our community. In an effort to foster more of them, we’re excited to announce the launch of two new Write the Docs resources this year. The first is an online job board, where employers can post jobs and candidates can peruse them. The second is an in-person job fair, which will be held at both the Portland and Prague conferences this year. Read on for more details on how we’re working to connect great documentarians with great companies. The new job board is already live – pay it a visit at: http://jobs.writethedocs.org. The board has two simple functions. Employers can register and post their job openings. Candidates can search for and be notified about available positions. All job listings are posted automatically to the #jobs channel in Slack. For additional reach, featured job listings will also be highlighted in our monthly newsletter, which goes out to more than 3500 subscribers. We also have plans to boost the postings over additional channels, to get listings in front of as much of the community as possible. We’re really excited about the potential of the job board and its ability help us make more meaningful professional connections across the community. In addition to the online job board, we’ll also be doing an in-person job fair at our conferences this year. We’ve been really lucky to attract so many great companies as conference sponsors each year. All of them care a lot about docs, and many of them are actively looking to hire folks to help make their docs better! At the job fair, each company will have a staffed booth with information about their current openings. We’re excited to be able to offer a dedicated space for job-hunting attendees to talk directly with folks about what it’s‘ like to work at their company. Have questions about the culture, the tools, or anything else? The job fair is the perfect place to get answers, establish connections, and make first impressions! We’ll be doing a job fair at both the Portland and Prague conferences this year. Each fair will be around two hours long, and be in a similar space and format to the Unconference. Each company will have a table with information about the jobs they have available. You’ll also be able to peruse any other featured job listings from online job board. Both of these initiatives are brand new this year, which means we’re definitely still experimenting with how to make them valuable for everyone involved. We’ll be testing stuff out, getting feedback, and adjusting as we go – as with all of our other Write the Docs experiments. If you have any specific suggestions, requests, or changes you’d like to see us make, drop us an email at jobs@writethedocs.org.